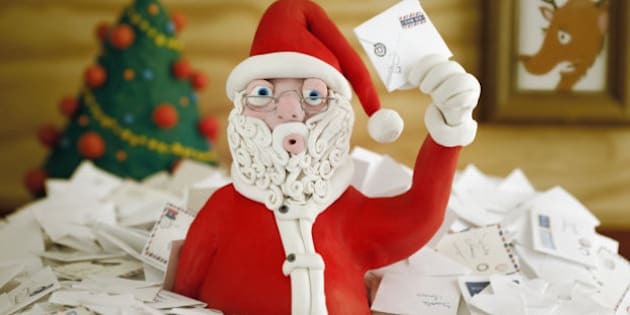 Dear Santa: You probably don't get Christmas letters from an entire province, but this year we hope you'll think of adding B.C. to your magical journey. You probably don't get Christmas letters from an entire province, but this year we hope you'll think of adding B.C. to your magical journey. We know we're asking a lot of you, but B.C. could really use a plan B this Christmas. You see it all started a couple of Easters ago. The Easter bunny -- you know, the competition down the calendar street -- came hoppin' along and told everyone to put all their eggs into her LNG basket. All of them, Santa. It sounded great at the time, really it did. Who could say no to a prosperity fund? A $100 billion prosperity fund, to boot. But it's not working out so well and everyone just assumed that the Easter bunny had a few other baskets behind her ears if things went south. Well, Santa, it looks like she doesn't. And a few of us -- OK, most of us -- are getting a little antsy. Here's the thing, Santa. B.C. is developing a bit of a -- how do you put it -- reputation. Some folk say the province is akin to a never ending battle between huggers and frackers played out on a continuous loop, year after year after year. Protests, environmental assessments (one or two, take your pick), injunctions, PR strategies (strained or leaked), appeals, human chains, petitions, more protests, SLAPP suits, social license permits -- seriously, Santa, the list goes on and on. And it ain't going over so well with investors. Never knew they were such nervous Nellies. Heck, one tax break too little and suddenly they're off playing in another kid's sandbox. Oh, that reminds us, Kinder Morgan could really use a new GPS this Christmas. They still seem to be using the one left behind by Enron. Then, to top it all off, a few months back the Supreme Court of Canada told some of us that we may be squatters. On someone else's land. Look, we know you can't stuff a massive GDP hike into B.C. 's Christmas stocking, but maybe this year you could get us a few of the things from our wish list. A new way to reconcile competing interests in the province on economic development would be great. Like, wow, best gift ever. And it would be so neat if it came fully assembled. We know you can't till the entire province into an organic farm, but maybe you could show us a better way to use our agricultural land and market our products. No need to include those trade mission accessories that come with it -- there are a whole bunch of folk right here in the neighbourhood who eat all the time. In fact, we crunched some numbers last night; did you know that 16.3 million people live in Alaska, Alberta, Washington State, and B.C. combined? Well, of course you did, but that's still a lot of mouths to feed. Speaking of which, any chance we could return that clawback toy you let B.C. play with a few years back? Not that we're ungrateful, but it got into the wrongs hands. It really should come with instructions. Between us, did you ever notice how uppity the Easter bunny gets whenever anyone says value added? You think she'd know that old saying: give a bunny a carrot and she eats a carrot. Teach a bunny how to cultivate carrots and you're overrun with bunnies. Or something like that. It would be fantastic though if we could add some value to B.C. 's natural resources right here in B.C. before we ship them off overseas only to buy them back in manufactured goods a few months later. That new board game "How not to cut off your nose to spite your face" would be cool, too. You know the one. The winner is the first to clue in that government cuts in one area may result in massive losses for government in another, thereby negating the original savings and then some. The best part of getting a plan B for Christmas, Santa, is that if the Easter bunny turns out to have only been partly right (still not looking good on that front BTW), we get the best of both plans. Oh, nearly forgot. Please don't go down the chimney at the legislature. Seismic issues. We'll put the milk and cookies on the main steps. PS: If you can do anything about ferry fares, no grumbling from this quarter.